Please read the following terms and conditions (“Terms and Conditions”) carefully before using this website (www.managedasset.com). 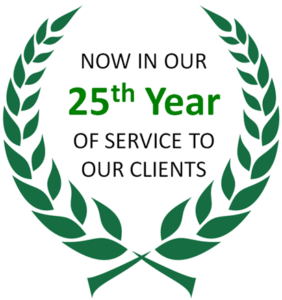 Managed Asset Wealth Management LLC is an California State-registered investment advisor located in Newport Beach, CA. Managed Asset Wealth Management LLC and its representatives are in compliance with the current registration and/or notice filing requirements imposed by The State of California. Managed Asset Wealth Management LLC may only transact business in California. Important information describing Managed Asset Wealth Management LLC’s business operations, services, and fees can be viewed on the SEC’s website at www.adviserinfo.sec.gov. Managed Asset Wealth Management LLC will provide its Form ADV disclosure brochure, which serves as the firm’s disclosure document, to all clients. Copies are also available to interested parties upon request. This Site is published in the United States for residents of the United States. However, Managed Asset Wealth Management LLC is not soliciting business in any jurisdiction other than California. Past performance is not indicative of future results. Therefore, no current or prospective client should assume that future performance of any specific investment or investment strategy (including the investments and/or investment strategies recommended or undertaken by Managed Asset Wealth Management LLC) made reference to directly or indirectly by Managed Asset Wealth Management LLC in its website, or indirectly via a link to an unaffiliated third party website, will be profitable or equal the corresponding indicated performance level(s). Different types of investments and/or investment strategies involve varying levels of risk, and there can be no assurance that any specific investment or investment strategy (including investment strategies detailed on this website by Managed Asset Wealth Management LLC) will be either suitable or profitable for a client’s or prospective client’s portfolio and may result in a loss of principal. Accordingly, nothing on the Managed Asset Wealth Management LLC Website should be constructed as a solicitation or offer, or recommendation to acquire or dispose of any investment or to engage in any other transaction. 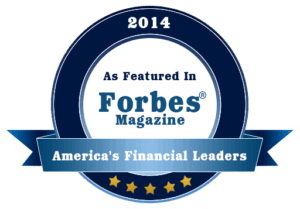 Managed Asset Wealth Management LLC does not render or offer to render personal investment advice or financial planning advice through our website. Managed Asset Wealth Management LLC’s specific advice is given only within the context of our contractual agreements with each client. The Managed Asset Wealth Management LLC website is limited to the dissemination of general information pertaining to its investment advisory and financial planning services. Advice may only be rendered after delivery of the Form ADV disclosure brochure and the execution of an investment management agreement by the client and Managed Asset Wealth Management LLC. Our website is provided to you without charge as a convenience and for your information only. By providing access to our Website content, we do not warrant or represent that: The content is accurate or complete; The content is up-to-date or current; We have a duty to update any content; The content is free from technical inaccuracies or typographical errors; Your access to our website will be free from interruptions, errors, computer viruses, or other harmful components. We do not assume any liability for these matters. In other words, you use our website at your own risk. Under no circumstances, including but not limited to negligence, shall we be liable for any direct or indirect, special, incidental or consequential damages. This includes loss of data or profit arising out of the use or the inability to use the content of this website, even if one of our representatives has been advised of the possibility of your damages. Some jurisdictions do not allow the exclusion or limitation of liability for consequential or incidental damages. In such jurisdictions, our liability is limited to the greatest extent permitted by law. Insurance and annuity products are sold separately through Managed Asset Insurance Services and may represent a potential conflict of interest. However, we address the conflict of interest by advising clients that they are not obligated to implement their financial plan or any insurance recommendations through us or our owner. Additionally, we attempt to mitigate any conflicts of interest to the best of our ability by placing the client’s interests ahead of our own and through our fiduciary duty.